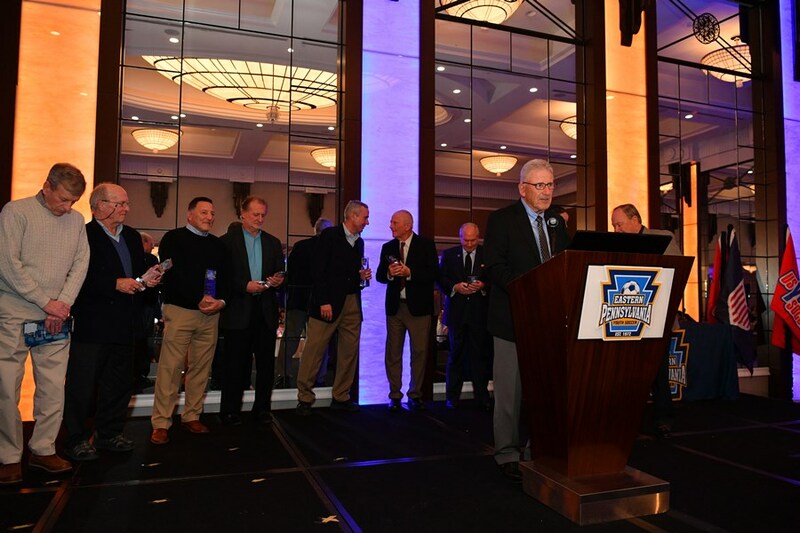 The Service to Youth award is one of Eastern Pennsylvania Youth Soccer's most prestigious awards, this honor is awarded to an individual who, over a period of years, has made outstanding contributions to youth and the sport of soccer. The individual must have dedicated their time on and off the field to instilling the principles of good sportsmanship, the development of youth in soccer, and the promotion of soccer with Eastern Pennsylvania Youth Soccer and its leagues and teams. The Service to Youth award is recognized at the Eastern Pennsylvania Youth Soccer Awards Reception each March.